John Skipper told the Hollywood Reporter on Thursday, "they threatened me." Skipper says he used drugs recreationally and that it never impacted his work at ESPN. The former president of ESPN said he resigned from the sports network after an extortion plot by someone who sold him cocaine. 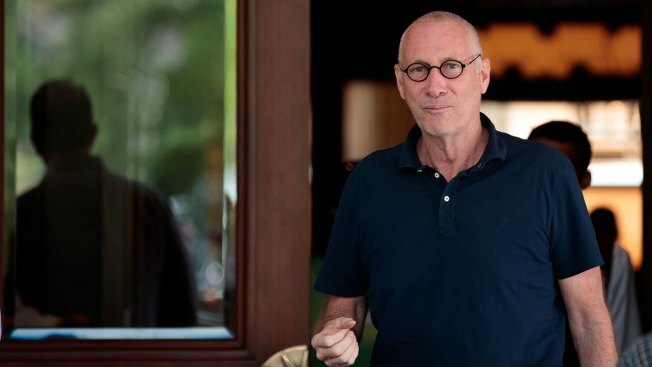 John Skipper told the Hollywood Reporter in an interview published Thursday that the drug seller, whom he did not name, tried to extort him in December. He said he hadn't had dealings with the seller before, and previously had been "careful" about buying cocaine. "They threatened me, and I understood immediately that threat put me and my family at risk, and this exposure would put my professional life at risk as well," Skipper said. He said he discussed the situation with Walt Disney Co. CEO Bob Iger on Dec. 15, 2017, and they agreed Skipper "had placed the company in an untenable position." He resigned on Dec. 18 after leading ESPN since 2012, saying he was going to seek treatment for a substance abuse problem. He said he used drugs recreationally and that it never impacted his work at ESPN. "Look, it was inappropriate for the president of ESPN and an officer of The Walt Disney Co. to be associated in any way with any of this," he said. "My drug use never had any professional repercussions, but I still have profound regret," he said. "I accept that the consequences of my actions are my responsibility and have been appropriate. I also have to accept that I used very poor judgment." Skipper did not return a message seeking comment from The Associated Press on Thursday. He also said "rumors and speculations" that mistreatment of women contributed to his resignation were untrue, and he denied having any inappropriate relationships or sexually harassing anyone. Skipper said he has received drug abuse treatment and therapy, and that process is ongoing. He hopes to re-enter sports media as a consultant. "I'm actually quite excited," he said. "In some ways I have no choice but to make the best of it. And I do intend to make the best of it. I've been meeting with people, and that has gotten me even more excited. I'm healthy, and I'm ready to plunge back in."